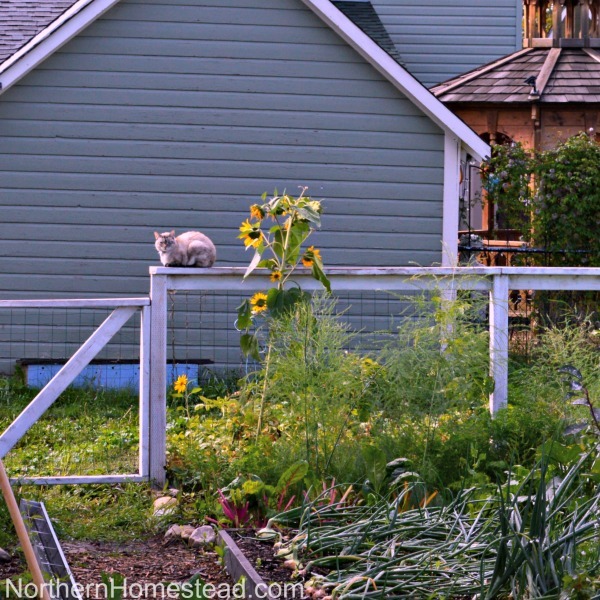 If you live in a rural area gardening and wildlife might have to coexist. 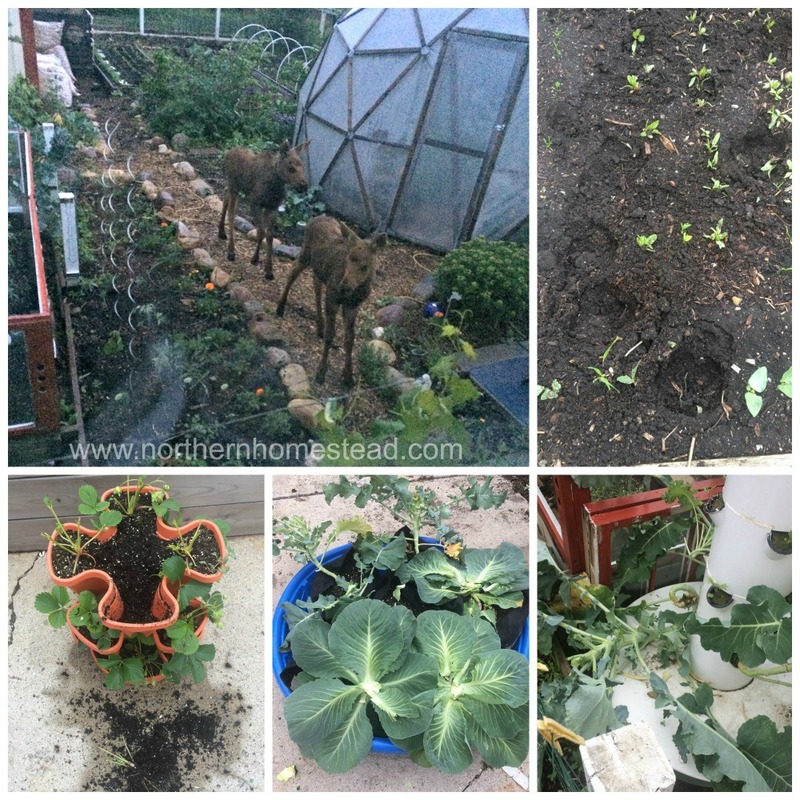 We do not garden for wildlife, as some animal lovers suggest, but we also don’t garden against animals. We just garden while creatures big and small pass by. Here we share our and some of our readers’ experience and how we protect our garden from wildlife. Squirrels are one of the cutest guests in our garden. As cute as they are, they can create a lot of damage to the garden. They love our overwintering spinach. 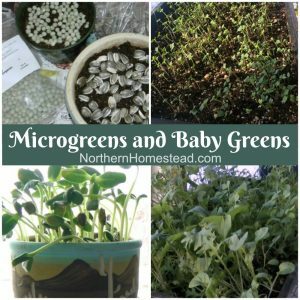 It greens long before anything else is growing. To get some fresh greens seems so valuable to them. They also love to get the buds of some plants assuming they are nuts or so, but most of all they love sunflowers. What do we do to keep peace with the squirrels? We have a garden cat that has been a real blessing. She does create some of her own challenges, but not as much as squirrels do. Our garden cat does not just keep the squirrels out, but we also have fewer problems with birds and no moles. As I said before we do not have any gophers and moles problem in our home garden but we do have a mole challenge in our community garden. Since it is not our garden, we do not do anything against the moles except planting a little bit more, so there is enough for all of us. If it would be a problem in our home garden, we would lay a chain link fence or chicken wire under the garden beds, as we did in our raised bed. 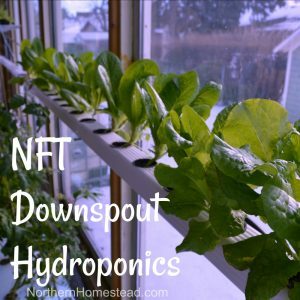 It is an easy but very effective way to keep the garden free from anything that can come from underneath. Deer and moose are frequent visitors to our small town and also to the community garden. Thankfully they do not care for all garden crops alike. 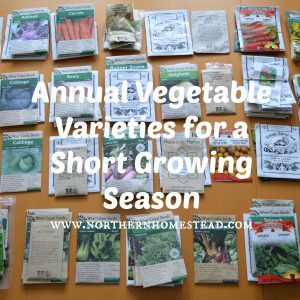 Plants from the nightshade family (like potatoes and tomatoes), onion family plants, beans, and cucurbits family plants (like squash, zucchini, and cucumber) do not seem to be the favorites on their menu plan. We can grow all this in the open fields with little to no loss to predators. Cabbage family plants seem to be the big love for moose. Honestly, if we had not seen the moose in our garden we would have thought someone had cut off the cabbage heads with a knife. To grow them in a moose area they do need to be covered. We find that covering the crops they particularly like is easy. 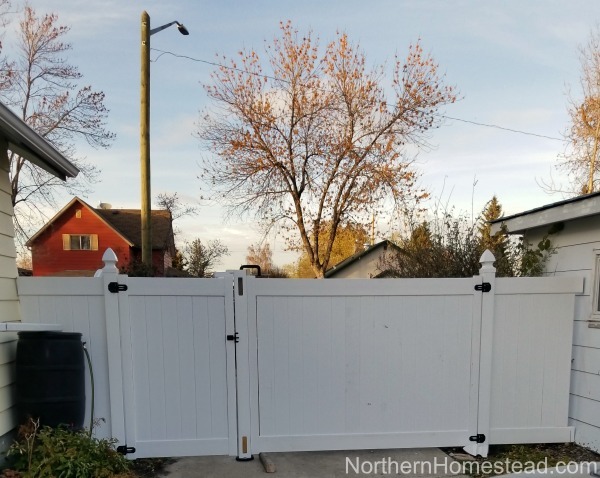 A fence will keep moose out to some extent. If they are just browsing the streets, we find that they do pass our garden, even though there are so many delicatessens growing for them. Moose has a very poor vision, and if the fence separates them and they are not desperate, they will move on. But they will also come in over the fence or hedge if for some reason they do want to come in. 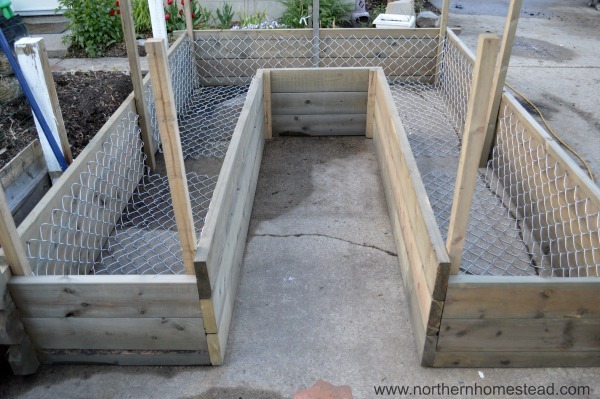 For our home garden we do have a fence and also added a gate to keep deer and moose at least to some extent out. However, it is not a moose proof fence. 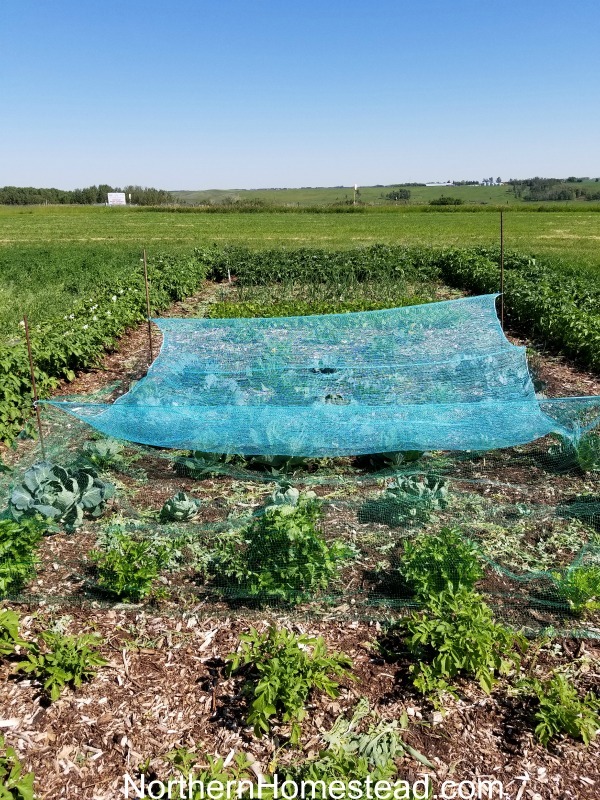 One of our readers shares: We build an 80 x 80 square enclosed area with 6×6 posts, cemented in 3’ deep with 8’ Elk fencing. Had it 9 years and never had a problem. Anything outside the fence definitely gets “Moose Pruned”. 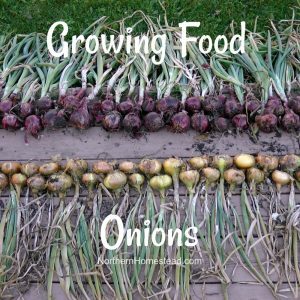 Another reader shares: I have 5′ fence around the perimeter and hang Irish Spring on the fence in a few places in onion bulb mesh bags. Haven’t had a moose or deer lately. And one more: I have very good electric fencing; a moose will go right through them. Bone blood is another way that is said can keep these creatures out. 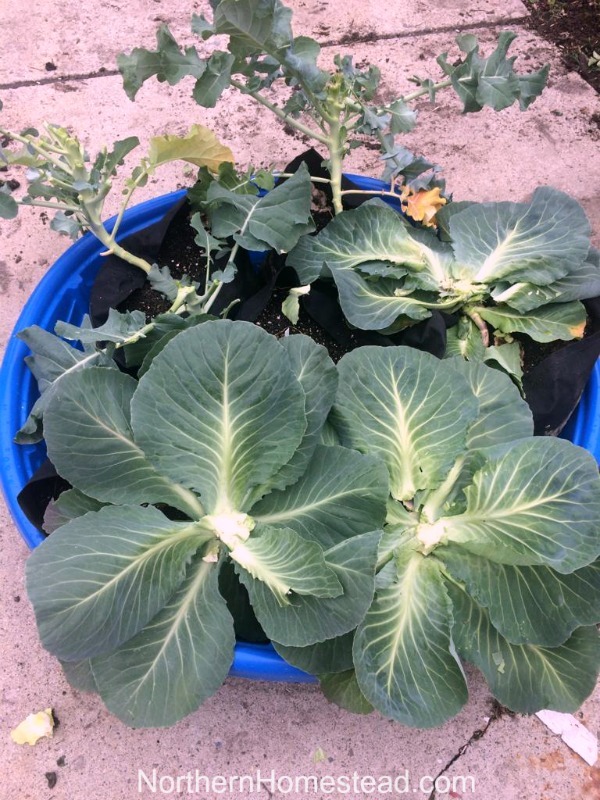 Since it is easy to get and also works as a fertilizer we do use it in our home garden. I do not like it on our vegetables, but at the borderline it is okay. I can’t say that it does really work though. Honestly, I do not even think it would, since that big animals do not seem to care about anything much. I would be interested to hear your experiences. Bears don’t usually come out into our town, so we have no personal experiences with them. 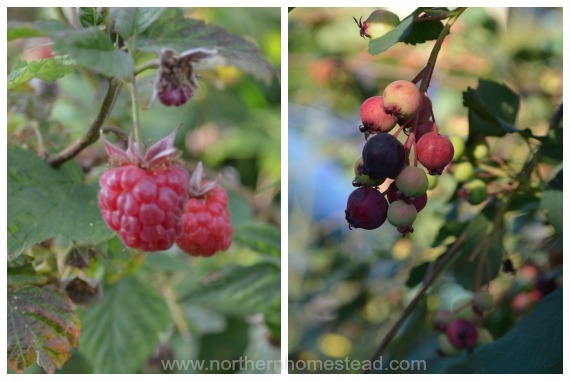 Last summer though we visited a homestead in the Creston area in the mountains where our hosts were telling us that they do have to harvest fruit from their trees before they fully ripen, otherwise it does attract bears to their property. 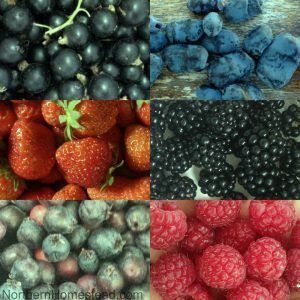 I can only imagine how much bears would love all the yummy berries we grow. 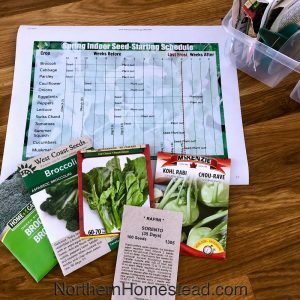 Please share in a comment below your experience with gardening and wildlife. What are your best tips on how to coexist with wildlife and still grow a successful garden? If you like this post don’t forget to subscribe to Northern Homestead and follow us on Instagram, Facebook or Pinterest for the latest updates. That’s very interesting about being thought by their mom what to eat. Thank you for sharing. Hope our area mom’s keep avoiding pumpkin and beans ;). We try to plant things they like to eat away from the garden. We grow forage grasses, forbs, old veggie seed in a food plot just for them right along the ridge we want them to follow. Not perfect but it helps. We have 3 white tail and 7-11 mulies in and out of the property daily. Plus turkeys, grouse, squirrels, elk and an occasional moose n fox. Love watching our wildlife! That is an interesting way to do it if you have room. Glad it works for you. Our biggest challenge with deer is that they eat our fruit trees. They’ll walk right past a garden full of luscious stuff just to strip the bark off my apple saplings. Dogs help some. They sure do like fruit. Some say that hanging sheep wool on trees helps, maybe worth trying. Thanks for all the great info on your blog! 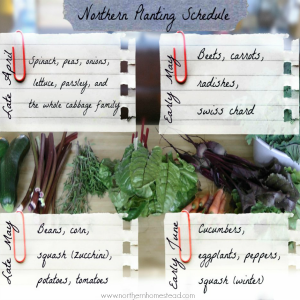 We are soon moving to the country and we live in a cold climate, so there’s lots for us to learn about here. Best wishes! Thank you and congrats to your move. I’ve been really lucky and don’t really get much wildlife in my garden. The odd bird or squirrel appear but they have never done any damage. We do have bear, deer, and moose around us, but so far I have managed to avoid them getting in our garden. I think the bears prefer the garbage in the neighborhood over my small garden. Good for you, I must say that we have seen a lot more wildlife outside our garden than in it too.